The Supertruck Dream Giveaway, a charity sponsored sweepstakes ends on September 27, 2018. Get a double ticket bonus now, with your tax-deductible donation of $25 or more. The "HaulCat" is a one-of-a-kind 707HP Dodge Ram Truck with a Hellcat Engine. GRAVETTE, Ark. - Nov. 8, 2018 - PRLog -- The Super Truck Dream Giveaway, a nationwide drawing sponsored by New Beginning Children's Homes-a charitable organization, is coming to an end on November 27, 2018! 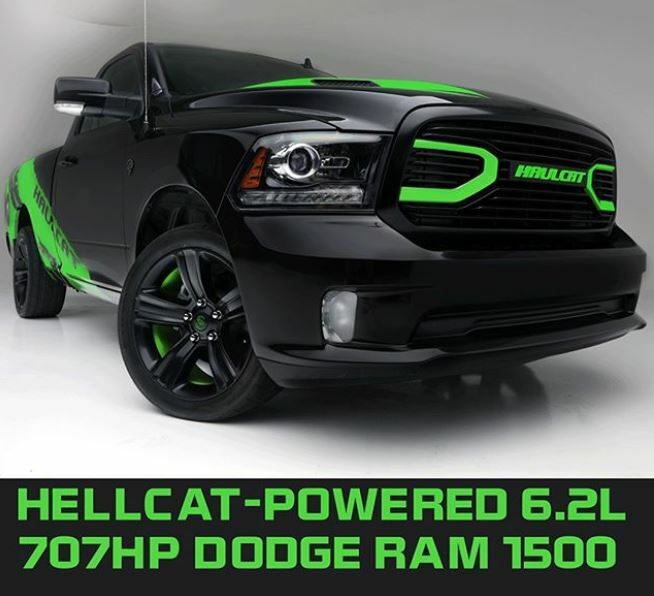 Included in this pavement-pounding prize package is the world's only 2018 "Haulcat,"—a 707hp Hellcat-powered 2018 Ram truck—plus $10,000 towards the prize taxes! The Grand Prize: Dream Giveaway Garage worked with the nation's leading Mopar experts to replace the stock Hemi engine in a 2018 Ram truck with Dodge's supercharged 6.2L Hellcat crate engine. ENTER NOW to win the world's only Hellcat-powered Ram "Haulcat" by simply calling toll-free to (866) 600-0646 and using promo code PL1118K or entering online at www.dreamgiveaway.com/tickets/supertruck?promo=PL1118K and you'll DOUBLE your tickets with any donation of $25 or more!